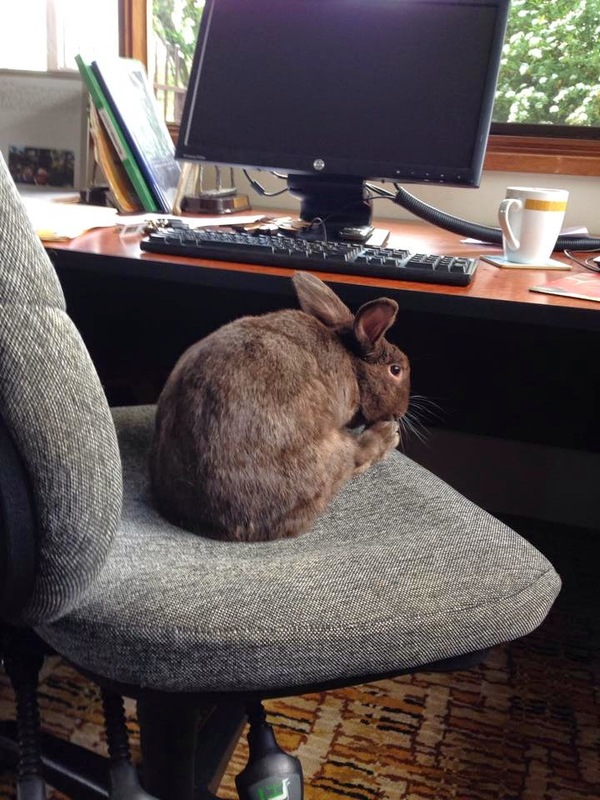 Chocolate Bunny decided that the home office management needed a revamp and set himself up to take over the reins. But once in the chair, he was immediately distracted by the thrills of internet surfing, found himself on a discount banana warehouse site, and ordered 6,000 tons of bananas to be delivered by express post. He is now excitedly checking the letter box at approximately 10 minute intervals.